If you see this man and boo him, it's time to grow up and stop. In the free agent, salary cap era them lifers are rare. Look at what's happening to Marc-Andre Fleury as proof. Pittsburgh has been blessed by a run of their best players (so far) being lifers. Sidney Crosby, Evgeni Malkin and Mario Lemieux are names you can't imagine in any other jersey. 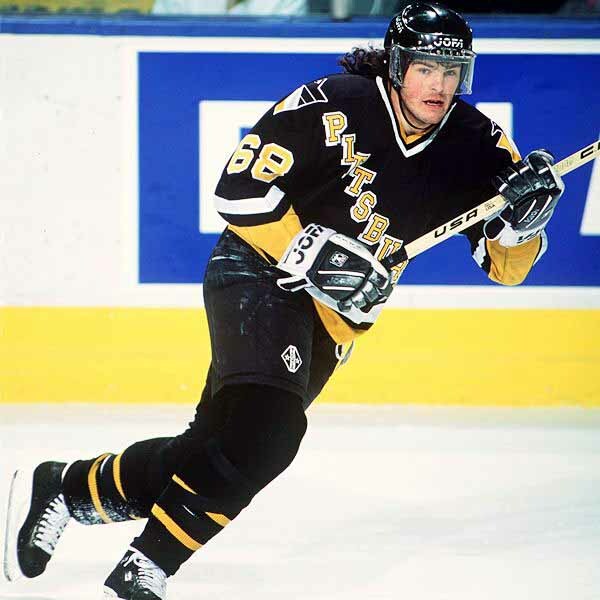 One player who should have, and could have, been a lifer had things been different was Jaromir Jagr. Instead Pittsburgh has become the start of what was, is, and will be a Hall of Fame career. You'd never guess it by the way some people treat one of the greatest players of all time. His start in Pittsburgh was sensational. The yin to Mario's yang, he would win the Cup twice as they formed a dominant duo rarely seen in the expansion era. A rare mix of size and natural skill, he would dominate the ice in similar but vastly different ways than Mario. Seemingly tied at the hip, Mario and Jagr were often seen at the top of the scoring leaderboards. Never was this more impressive than in the 1995-96 season in which Jagr amassed 149 points... only to come in second to Mario's 161. His prolific offensive output continued after retirement, when poor Penguins teams essentially relied on Jagr, and his bad groin, to carry the team on his back. Helping the Penguins stay afloat in the lean years that saw them sent in to bankruptcy, his performances kept the team from losing money by nearly single handedly marching them to the playoffs, a time when the Penguins would finally break even on the season. Jagr, without Mario, helped keep them relevant and kept them financially solvent. Along the way a five time Art Ross winner (1995, 1998, 1999, 2000, 2001), named unanimous MVP of the league (1999), and nine time All Star (1992, 1993, 1994, 1996, 1997, 1998, 1999, 2000, 2001) he was a player who gave his all to Pittsburgh and the Penguins. Yet he couldn't be pushed out fast enough. Fairly enigmatic and misunderstood, Jagr was never quite a media darling. Now he's laughs and smiles with the likes of Paul Steigerwald and media members who grew up and understand Jaromir, but in his prime in Pittsburgh the sight of him donning a woman's mask and saying things like he was "dying alive" helped make his departure from a Penguins team in dire need of shedding salary all the more bitter and all of the less sweet. For those keeping track at home, that trade took place in the summer of 2001. That was over 15 years ago. And really that would have been the end of it. The booing would have stopped and forgotten, his memory cherished and his jersey (eventually) retired had it not been for the summer of 2011. 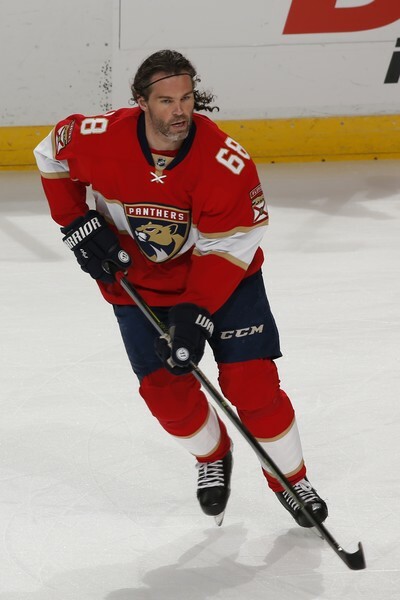 After spending several years in Russia in the KHL, Jagr longed to return to the NHL. He went on record as saying he would return and play for the Penguins, and Mario, at minimum wage. Most fans took him for his word and fully expected him to return as word leaked the Penguins and Ray Shero made an offer. But Jagr took his time. The offer seemed fair, $2 million for a guy who had been playing overseas for a while. Jagr, however, wanted to see what else was out there. Feeling his hand was forced, and wanting to move forward with other free agents like Tyler Kennedy, Ray Shero pulled his offer. 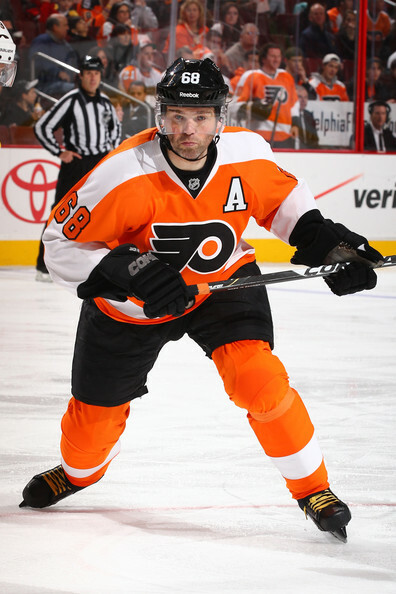 And Jagr was a Philadelphia Flyer. A scab, nearly healed, had been ripped back open 10 years after the initial wound had been made. Back were the boos, harsher and more spiteful than ever. Ignoring that Jagr left Pittsburgh and went to Washington and then New York. Ignoring that Penguins had won the Cup without him, ignoring that they'd made another run without him. Jags was a Flyer after being promised to Pittsburgh. This wasn't going to stand. Since then Jagr has put on a myriad of jerseys. Philadelphia lead to Dallas which lead to Boston then off to New Jersey before landing in Miami where he stays as the NHL's elder statesman. 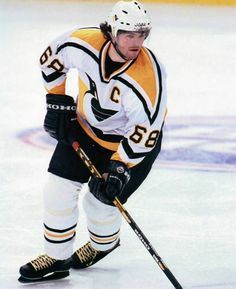 Jokes aside about going to Florida to retire, Jagr has continued to be an effective NHL player contributing points at an impressive clip and cementing his place among the greatest to ever set skate on NHL ice. Fifteen years after the initial wound, five years after it was reopened, five teams later some still won't let it go. Some still refuse to admire and appreciate the greatness and hockey nobility which began in Pittsburgh where fans were blessed enough to see his best, his prime, day in and day out. Thankfully the Penguins have moved above the ever dimming noise and vitriol. On Tuesday when Jagr came to town they presented him with his number on a piece of the old Civic Arena roof. Perhaps the start of the final healing process that will see all of the old animosity fade away into the true appreciation that should come with Jaromir Jagr. If you're one of those who still have hate in your heart for Jagr, it's time to grow up, move on, and let go. Without Pittsburgh Jagr would not be the same. And without Jagr, this team may have been no more.